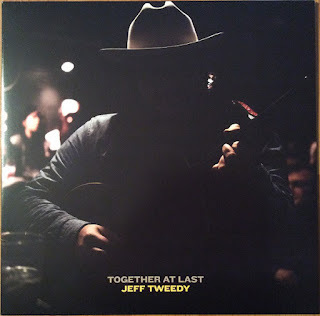 Does the world really need an album of Jeff Tweedy performing (mostly) Wilco songs by himself with only an acoustic guitar? Probably not. Is it still great to listen to? Almost certainly. Is the person asking these questions someone who has multiple solo Tweedy bootlegs in his CD collection, so his love of this was as certain as anything that has ever existed? I may or may not have three bootlegs of him...or more. Also, get off my back, man. I'm not entirely sure what else needs to be reported here - the record sounds good and feels loose - I'm guessing Tweedy knocked this recording out in an afternoon, or at least it has that laid back vibe. This is probably just a cash grab, but I don't care - the track list is good, with three tracks from their perfect record "Summerteeth," plus a couple of unexpected Loose Fur and Golden Smog jams. This is obviously intended primarily for existing fans, and if you count yourself in that group, a worthy pick-up. Bonus points: no Nels Cline solos.